ITC Paris will provide an extensive array of services. Most of the facilities are in the upmarket segment, but alternatives are included to satisfy everyone’s expectations in the best conditions. It is designed to be able to accommodate several separate events of varying sizes being held simultaneously. This separate building has 3 halls that can accommodate either separate events or events connected with those held in the conference centre. The hotels of ITC Paris offer a wide range of quality standards and provide amenities such as restaurants, a business centre, a spa, a gym, a swimming pool, shops and other services. 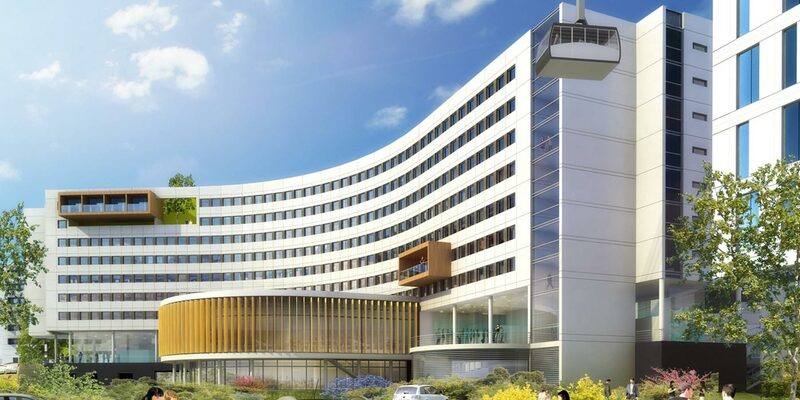 An environmentally friendly, civicminded project, ITC Paris assigns nature a central role. 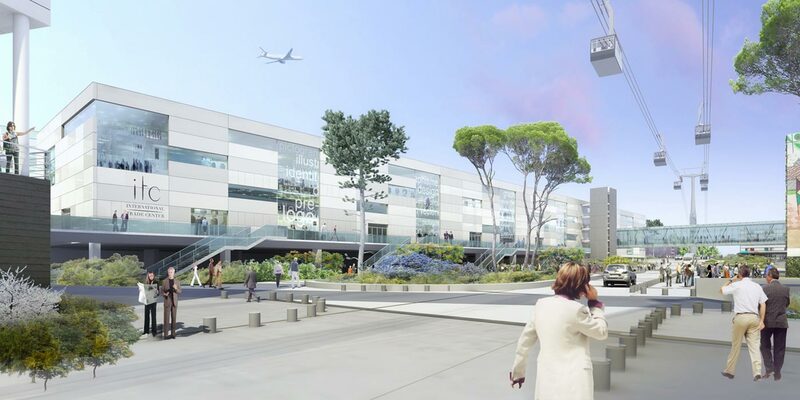 It ties in perfectly with the environmental approach of the Regional Development Contract of the Roissy sector. 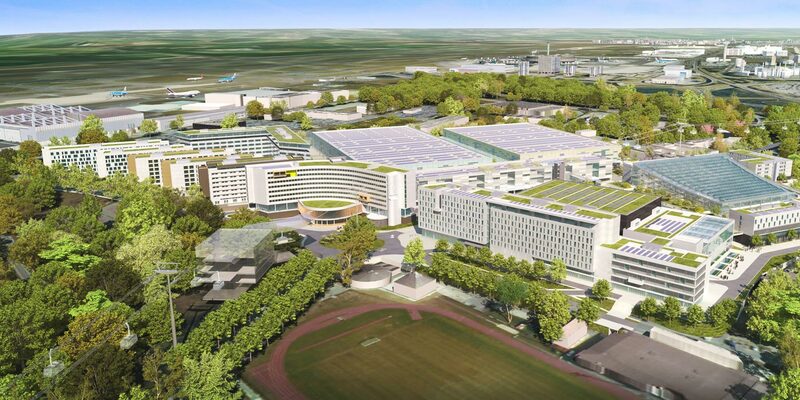 As emphasis will be put on materials with low environmental impact, ITC Paris will be equipped with a photovoltaic power plant. In combination with techniques of geothermal energy, cogeneration and trigeneration, its production of green energy will cover up to 40% of its energy needs. A SMART GRID will coordinate the management of the site’s energy consumption. 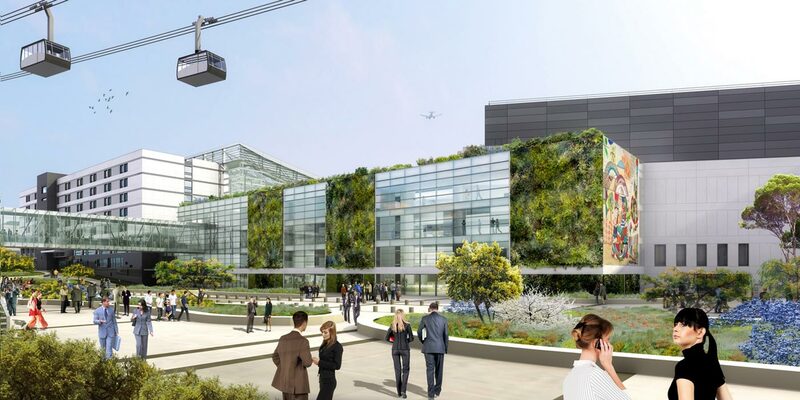 ITC Paris is aiming for the international certification LEED Gold (Leadership in Energy and Environmental Design) and the French BBC (low-energy building) label. Lastly, to foster the use of greenways, ITC Paris will make self-balancing personal transporters, bicycles and electric vehicles available to its users.